A covering of black plastic will help suppress weeds and keep soil warming. 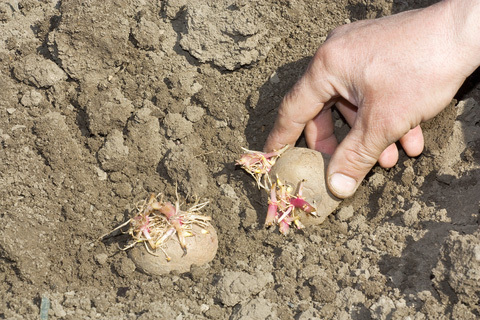 Early potatoes you have been chitting can be planted out as can onion, garlic and shallot sets. Mid month you can sow carrots and leeks and sow French beans under glass with successional sowings. Asparagus can be grown from crowns. Result: weed free beds and food for the table.